Jotul GF 305 | DV IPI | Direct Vent Gas Stove offers modern styling. 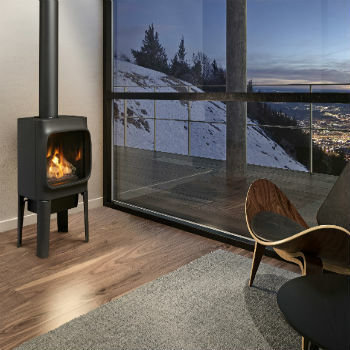 These contemporary gas stove feature smooth lines and sleek curves that frame an expansive fire display. 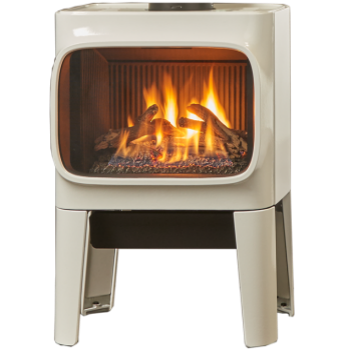 The GF 305 stove was based on the prize winning F 305 wood stove. 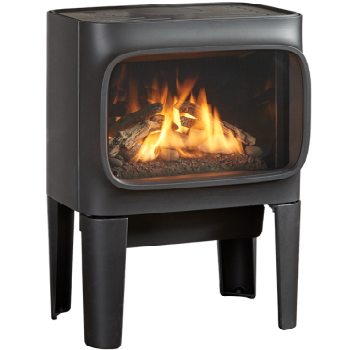 Powered by the ceramic JøtulBurner III, the GF 305 is a fusion of high efficiency and modern cast iron style. Visit Bare's Stove and Spa to see for yourself why Jotul is known worldwide for crafting quality, award winning stoves. *All measurements and colors are approximate. Contact your local Bare's Stove and Spa for details. Specifications may change without notice. Please note Bare's Stove and Spa strives to update manuals and information as they become available. These are for reference only; the latest documentation by the manufacturer takes precedence. Please visit Bare's for color options, dimensions and additional information.